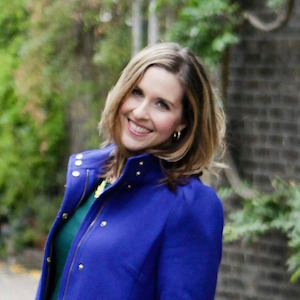 You are here: Home / Blog / Drinks / An Apple Cider Cocktail – 2 Ways! 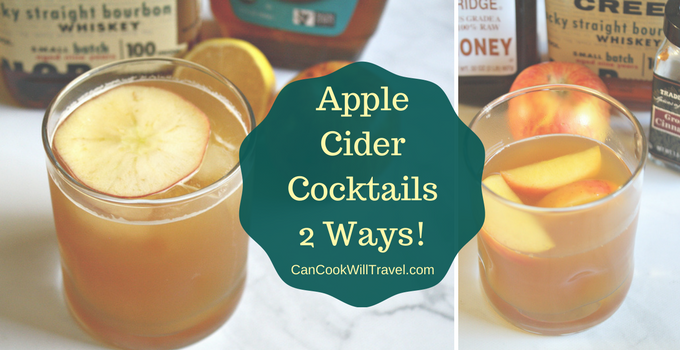 An Apple Cider Cocktail – 2 Ways! What is more Fall than Apple Cider? Okay I could probably argue that lots of things are equally as Autumn-esque, but it’s the smell. When you have a cup of apple cider in your hands, then magic kinda happens. So that’s what inspired this week’s post all about the Apple Cider Cocktail! Well I suppose it all goes to a couple of weeks ago, when I was out to dinner with my boyfriend. The restaurant has a seasonal cocktail section and we both settled on trying the apple cider cooler. Now I had no idea what liquor was in this drink, but it certainly stuck with me. So much so that I decided to start researching similar sounding cocktails and I started to see a theme with bourbon being the liquor involved. Now I can’t claim to have come up with these recipes, but I’m happy to share them with you here. 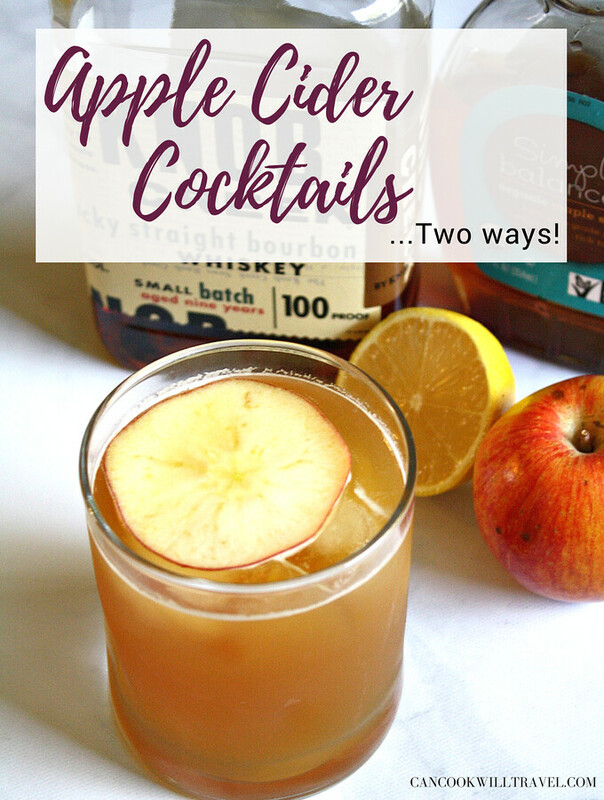 What I settled on doing this week was featuring 2 different apple cider cocktails, so you can pick what sounds good! I was drawn to these recipes, because I had nearly everything on hand to make them. Plus one was served on ice, and the other is a warm drink, so they’re pretty different. I will admit I did get a bit tipsy trying out these recipes, because they’re not shy on the bourbon, but it was worth it! 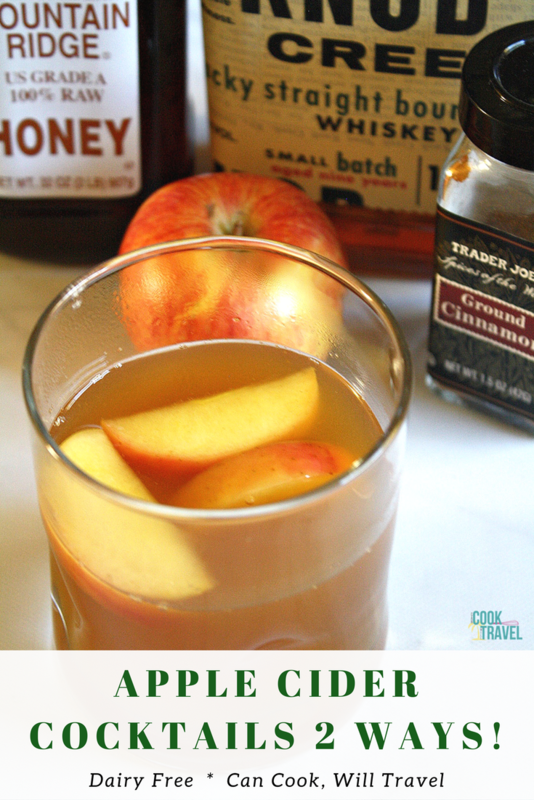 The first of the apple cider cocktails is a Bourbon Maple Apple Cider Cocktail. This one is our chilled drink, and includes apple cider and bourbon, of course. Then those ingredients are shaken with lemon juice and maple syrup. Pour everything over ice, and your drink is complete, and tastes delicious, I might I add. I liked that this cocktail was strong, yet sweet, and it comes together so easily. Just grab a cocktail shaker, throw everything in there with ice, and it’s a total breeze! One thing I may do next time I make this will be to rim the drink with some cinnamon sugar. That’s how the cocktail we had when we went out was served, and it made it even better, I thought. So for this recipe, you’ll see that I made that addition in case you choose to go that route. 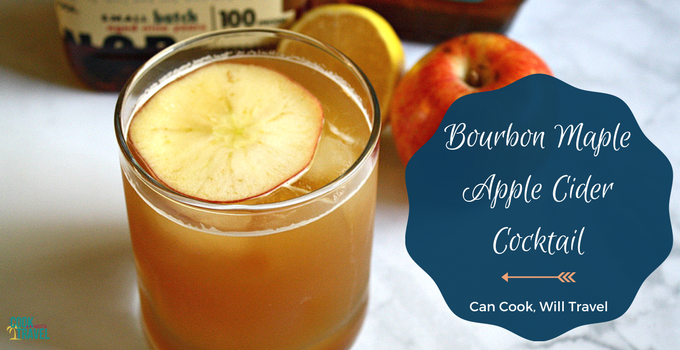 This Bourbon Maple Apple Cider Cocktail really hits the spot when you want a fun, chilled, seasonal adult beverage. So click that link to get the recipe and step by step instructions, to enjoy it yourself! I was pretty anxious to try out this warm apple cider cocktail, because I hadn’t had a warm cocktail in ages. I’m talking an Irish coffee 3 years ago, so I’m clearly overdue. Making the dish involves a few simple steps , but it also smelled fantastic! Just bring apple cider, cinnamon, honey, and one apple cut into wedges to a boil. Then simmer away for 5 minutes, and seriously my kitchen smelled freaking amazing! I probably could have just stopped at this point, but I carried on. Once it had simmered, strain out the apples, mix it with bourbon, and then add in a few of those stewed apples. Stir the cocktail, and then enjoy! I let the cider mixture cool for a couple of minutes before adding it to the bourbon, so the mixture could cool slightly. I worried my cocktail glasses wouldn’t hold ups under the heat, but they did great! Skip the ice, sip away, and then enjoy the apples at the end like a little prize! I can’t wait to make this warm apple cider cocktail again when I put up my Christmas tree in a few weeks to really help me get into the spirit of the season! 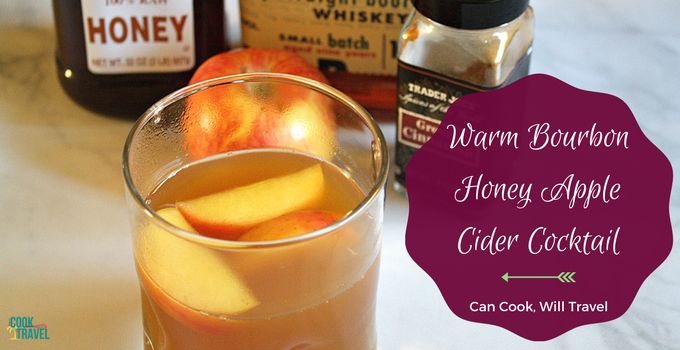 As the temperatures drop outside, you can easily take the chill off with this Warm Bourbon Honey Apple Cider cocktail! So go ahead and click that link where you’ll find the recipe and step by step instructions. Making cocktails sometimes seems a bit intimidating until you actually get in the kitchen and whip one up. So hopefully this post shows you just how easy it can be! And I cannot wait to find out which one you want to try first, so comment below and let me know! Cheers! One year ago: Lasagna Soup is Pretty Much the Coolest Soup! Three years ago: Chewy Peanut Butter Monster Cookies Are Spooky Good! Five years ago: Thyme for Apple Cake!